Acceleration in the programme of MRAD „Wisła”? The future participation of the Polish Defence Industry (PDI) in the production of the Medium Range Air Defence (MRAD) system „Wisła” may well have been determined by the events which took place in 2016. The Ministry of National Defence (MND) of Poland decided to pursue a competitive path and engaged in discussions with two MRAD providers: Raytheon (Patriot system) and MEADS (Medium Extended Area Defence System). The current frontrunner, Raytheon, committed to awarding 50% of the work share to the PDI and designing as well as manufacturing several major end items of the Patriot Next Generation system in Poland. Due to complexity of MRAD systems, “Wisla” procurement is the most expensive modernization project currently underway in Polish Armed Forces. Therefore, upon coming to office in late 2015, the new Minister of National Defence Antoni Macierewicz announced a major review of Wisła acquisition process. Special attention was to be given to the influence of purchasing ”Wisła” on modernization of the Polish Defence Industry. In November 2015, Minister Macierewicz voiced his concerns about the decision to procure the MRAD Patriot system, which was made by his predecessor. The minister’s doubts were related to three aspects of Raytheon’s offer: the price, unsatisfactory delivery dates, and insufficient participation of the PDI (i.e. state-owned PGZ holding group) in production of the system. As a consequence, the Ministry resumed negotiations with MEADS, Raytheon’s largest competition in the MRAD market. The final procurement decision will be based on assessment of both companies’ offers. The Ministry has neither officially rejected nor negotiated the bid submitted by Eurosam consortium further; Eurosam is offering the SAMP/T system. Under Macierewicz, a larger participation of the PDI in creation of “Wisła” has become the number one condition in negotiations. During his January 2016 visit to the Pentagon, Vice-minister Bartosz Kownacki insisted that the production of the Patriot units “was to be [largely] based on polish defence factories”. Then, in April 2016 the Armament Inspectorate’s chief, general Adam Duda, set the Polish defence industry participation goal at 50% of the value of order. At the same time, the Ministry’s Offset Contract Bureau continued negotiations on the transfer of key technologies to PDI. Both MEADS and Raytheon received a catalogue of 69 offset areas, among which 12 were designated as “key”. Among the most important competencies to Poland are: radar (Gallium nitrate semiconductors, AESA technology) and missile technologies (guidance systems, which could be used to build a Polish interceptor for the SHORAD “Narew” system). During public discourse on the subject, the Offset Bureau’s head general Stanislaw Butlak emphasized that the procurement contract cannot be signed before the offset contract. In May 2016 Raytheon responded with a renewed commitment to placing 50% of contract value with Polish subcontractors, through a three-phase production plan. Phase one would see the delivery of first two batteries to the Polish military in the currently available PAC 3+ PDB-8 configuration (without 360 degree radar nor an open-command architecture). Factories of the Polish state-owned Polska Grupa Zbrojeniowa (PGZ) conglomerate would participate in production of some Major End Items, such as launchers (Huta Stalowa Wola ironworks plant), command posts (PIT-RADWAR), parts of the AN/MPQ-65 radar and communication devices (Centre of Maritime Technology – Gdynia). Phase two would focus on transferring technology and development of key competencies in Poland. Large focus would be oriented toward the missile (PGZ’s Mesko) and radar technologies (PGZ’s PIT-RADWAR.) Moreover, the final configuration of the Patriot Next Generation (alternatively Patriot Poland) system would be established. Acquisition of the aforementioned competencies would enable production of Patriot Poland on a work sharing basis between Polish and American manufacturing plants. Export of those items to other Patriot users is also possible. The final Patriot configuration would be equipped with an open-command architecture and a 360-degree radar based on AESA and gallium nitrate technologies. The plan for the “50% commitment” was formalized on July 4th, 2016 with a Letter of Intent signed by PGZ and Raytheon officials. According to PGZ, the document would “enable a 50% work share in production of Patriot [and ascertain] that 50% of the financial resources expended by the Polish government would in fact stay in Poland.” Minister Macierewicz called the signing of this document a “breakthrough” and later, in September 2016, named as one of the primary reasons behind sending the Letter of Request for Patriot system to the US government. However, it is noteworthy that the “50% commitment” was first laid out by Raytheon in 2015, well before Macierewicz’ s assumption to power. Also, the exact plan of how to achieve this ambitious goal has not been revealed to the public. The “50% commitment” is unattainable without partial production of missiles in Poland. Therefore, also in September 2016, Poland’s Patriot offer was amended with a low-cost interceptor called “Skyceptor”. The new interceptor, based on the Israeli-American Stunner missile, would be an alternative to the costly PAC-3 MSE (about 5 million USD per unit). Governments of both Israel and the USA gave their approvals for technology transfer to Poland. Proclaimed successes in the field of technology transfer and offset involved compensation with concessions on price and delivery dates. Back in February 2016, Minister Kownacki noticed that the 16 billion zlotys (4 billion USD) originally reserved for ”Wisła” was three times lower than Raytheon’s first offer. The Minister called this difference “the gap between what we want and our [financial] capabilities.” However, during the Parliamentary National Defense Commission session in September 2016, he confirmed that ”Wisła” cost will total “between 30 and 50 billion” zloty (7 to 12 billion USD). The calculation method (procurement vs. lifecycle cost) was not specified. In doing so, Minister Kownacki admitted that finalizing “Wisła” will require significantly more financial resources than planned. Another victim of prolonged negotiations is the delivery schedule. Contrary to Ministry’s official statements on urgent need to deploy “Wisła”, the contract is already three years behind schedule. In November 2016 Minister Kownacki acknowledged this fact by stating that “facing a delay in “Wisła” by a few years (…) is not as important as procuring modern weaponry and ensuring [Polish industry] participation.” The Ministry’s official position is to deploy the first two batteries in 2019, and the remaining six by year 2026. The Polish Ministry’s requirement to incorporate the Integrated Air and Missile Defence (IAMD) Battle Command System (IBCS) into all Polish Patriot batteries is perhaps the most challenging new condition. In the future, Northrop Grumman’s IBCS will replace seven C2 systems, including the Patriot’s, thus becoming the backbone of US Army’s IAMD. However the program is still in the Engineering and Manufacturing Development (EMD) phase, so the sale through Foreign Military Sales procedure (pursued by Poland in “Wisła” acquisition) is restricted. After the completion of EMD phase (Milestone C), planned for March of 2017, the IBCS could theoretically be purchased using FMS’ “Yockey Waiver” exception. However, acquisition of systems, which have not been approved for full scale production for the US Armed Forces, entails developmental risks for Poland. Those have been recently highlighted in the Operational Test and Evaluation Office’s 2017 Annual Report for IAMD. The report pointed out that IBCS is “neither stable nor mature”, falling short of warfighter requirements in several key areas. The Ministry and Inspectorates’ officials repeatedly stressed the importance of an open C2 architecture for “Wisła’s” combat value. Both Raytheon and MEADS hope to fill in the gap, if Northrop’s solution cannot be integrated with Patriot in the timeframe required by the Ministry. Raytheon is developing its own open architecture system called Common C2 (CC2). According to company’s representatives, it will be interoperable with IBCS and could be delivered with the first batteries. On the other hand, according to MEADS Business Development Manager Marty Coyne, MEADS C2 “functions on the same rules as IBCS, and is fully interoperable.” Although not yet used in combat, the MEADS C2 enabled shooting down of targets during flight tests, including a challenging dual intercept at the White Sands missile range in 2013. According to Minister Macierewicz, Raytheon will “most likely” be awarded the contract for “Wisła”. However the international MEADS consortium, led by Lockheed Martin, is not out yet. Throughout 2016, MEADS responded to each of Raytheon’s advances, for example signing the letter of intent with PGZ for “Wisła” cooperation. MEADS upheld its offer for PGZ to become a full-fledged member of the consortium, and a 40% work share commitment for the Polish industry. MEADS offers coproduction of several interceptor missiles, including the MCM (MRAD/MEADS Complement Missile) of which 70% would be produced in Poland. The Ministry stresses that an intense dialogue concerning MEADS is underway, and asked for more information on the system from the US Government. According to the Ministry, continuous dialogue with two MRAD providers resulted in more competitive offers and more work share proposals for the Polish industry. The Parliamentary National Defence Commission confirmed in September of 2016 that both MEADS and Raytheon committed to transferring 11 of 12 key technologies requested by the Offset Bureau. However, the actual technology transfer and coproduction will require extensive work on the part of both the Ministry and the Polish Industry. For example, Raytheon’s proposals for coproduction in Poland were preceded by analysis of over 100 Polish manufacturing plants and companies. Thus far only two elements (IFF antenna from PIT Radwar and routers from Teldat) have secured export opportunities with Patriot program. One obstacle in integrating Polish companies in Patriot’s global supply chain are the formal requirements for Foreign Military Sales procedure. Namely, FMS requires subcontractors to adhere to American quality and acquisition standards, such as those set forth in the Federal Acquisition Regulation system (FAR) and Defence FAR Supplement (DFARS). Moreover, plant and capability certification may be necessary, for example using the US Department of Defence-supported Capability Maturity Model Integration. Alignment of Polish defence companies with the aforementioned regulations and standards should be ongoing regardless of the state of “Wisła” procurement. Time is another important factor in ”Wisła”. For example, Raytheon estimates that a production line for the new AESA GaN radar could be constructed in two years’ time. Production and delivery to the Polish Armed Forces would take another 4-5 years from contract signing. Implementation of similar process for other major end items in Poland would likely be even more time consuming. Therefore, performing the ground work for production in Poland (technical staff exchanges and mutual certification) is of utmost importance. The Letters of Intent which PGZ signed with MEADS and Raytheon are steps in the right direction. 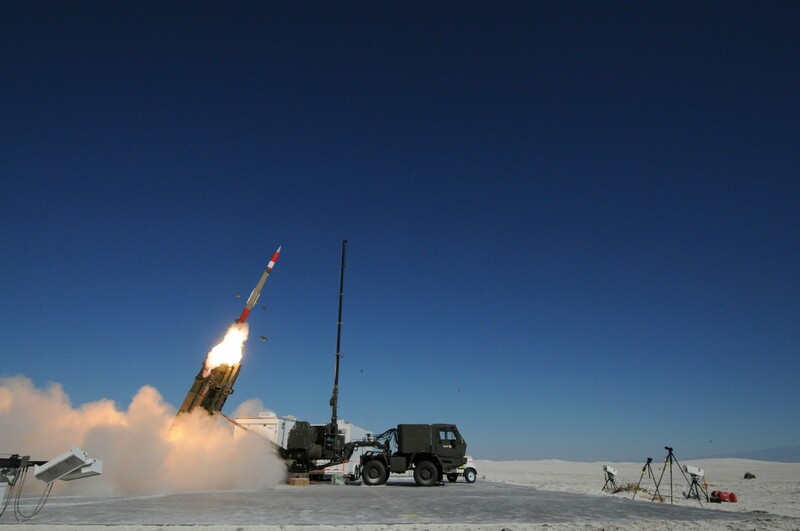 Since Poland sent the letters of request and information for Patriot and MEADS systems, respectively, in September of 2016, the “Wisła” program is in the process of inter-governmental negotiations between Poland and United States. The competitive approach to the acquisition process of MRAD “Wisła” resulted in declarations of increased work share and technology transfer for the Polish Defence Industry (PDI). Continuation of this policy will ensure that Poland receives optimal offers from both contractors. Co-production of Patriot and to a lesser extent MEADS (due to smaller existing customer base) would create new export possibilities for the PDI. Taking advantage of this opportunity will require understanding the American acquisition (FAR, DFARS, FMS and quality procedures, as well as their implementation in PDI companies. The Ministry of National Defence of Poland plans to build PDI competencies associated with air defence systems by transferring 69 technologies from the “Wisła” international partner. Continued efforts to acquire at least all of the 12 “key” technologies (AESA, GaN semiconductors, guidance systems) will enable self-sufficiency of PDI companies in the future.